Meet Suzanne Shpall, Founder, Creative Director and Head of Product Development of the LA-based health and wellness brand Highland Pantry, who recently developed a CBD infused spa experience exclusively for Estrella Spa at Avalon Hotel & Bungalows Palm Springs. We met up with her recently and chatted about her life in the Cannabis industry and where she sees the CBD movement heading toward in the future. Why did you get into the Cannabis industry? My mom! A few years ago, my mother rediscovered the benefits of Cannabis to help her cope with debilitating migraines and chronic arthritis. Realizing how she was benefiting from this amazing plant, an idea took hold. I had been building a gourmet, gluten-free dessert brand called Rosewood Pantry and realized there was a real opportunity for products with the same integrity, but with healing properties in the Cannabis space. How did ‘Highland Pantry’ come about? Once I made up my mind to enter into cannabis, I knew I wanted to make products designed for the modern woman. After a ton of research and a bit of hilarious focus grouping (read: my mother’s Mahjong group acting as guinea pigs, testing recipes, giggling ensues!) I felt the edibles space was where my product line belonged. As I was looking at the existing edibles landscape, I realized the space was saturated with sweets! I knew that, although a canna-cookie is great sometimes, there was a need for something healthier, something new; something that helps you look and feel amazing without ruining your daily wellness program. As much as I love the idea of having to eat a cookie every night to stay pain-free, I wanted to develop a product line that could seamlessly fit into my (or my mom’s) existing daily routine. Highland Pantry harnesses the multifaceted properties of cannabis to create a line of organic, thoughtfully medicated foods that will keep you feeling cool as a cucumber (or a packet of CBD almond butter). 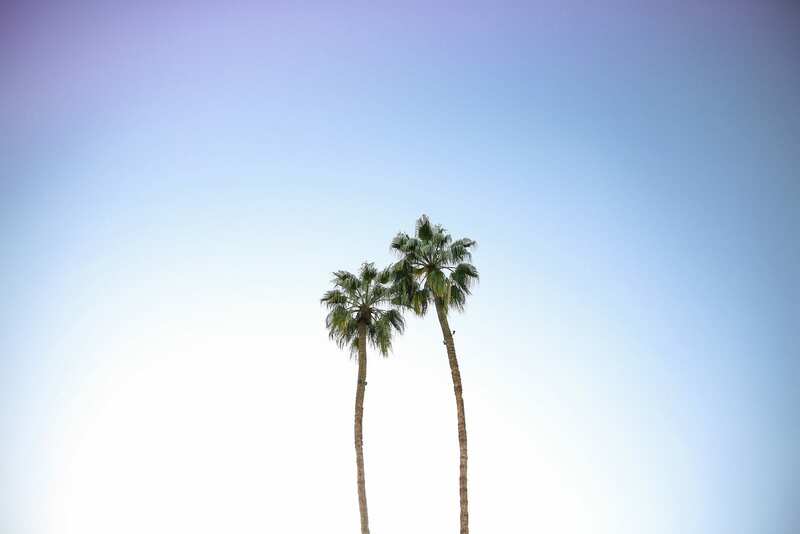 Palm Springs as you know is very spa centric; as Estrella Spa being one of the first spas in the desert to offer a selection of CBD infused treatments, where do you see this healing practice moving towards in the future? There is no doubt in my mind that within a few years CBD will be as common-place in high-end spas as essential oils and soothing music. I see possibilities for cannabis to be infused into all types of occasions and experiences. People come to Palm Springs for many reasons. Although its historical roots have been in healing and rejuvenation, it is now a space for restorative retreat, romantic getaway, and celebration. My goal is to continue infusing Highland Pantry into all of these moments. We see you sell THC products as well, which leads us to the question… indica or sativa? Both! Our products are crafted using C02 extracted cannabis oils from both Indica and Sativa strains. Once extracted, these strains are condensed down to their essential oils, which is how we can isolate the CBD and THC to infused into our products. If you are consuming cannabis by smoking it, Indica is wonderful for its calming properties. I personally love to consume sativa-based flowers. Sativa helps me get those creative juices flowing so I can keep thinking up new yummy products for Highland Pantry! If you had to pick one Cannabis product that you couldn’t live without, what would it be? My 10MG CBD infused almond butter! I absolutely love this product because it is so versatile (i.e. it can be used in a multitude of recipes!) and helps to take that ‘edge’ off without making you feel high. I especially love it before a massage or after a hike to help with muscle recovery. And CBD is great for your skin, so I feel like I’m doing my whole body a huge favor. This offering will center around a selection of CBD infused, ‘benefits-based’ massage treatments, all using hand-crafted & co-branded massage oils, essential oils, body balm and a specially formulated facial spray. The CBD Infused spa treatments and a selection of special Highland Pantry add-ons will be available at Estrella Spa beginning July 2018. To book your treatment, email us or call us at 760.318.3000.